There are a few reasons why your post may not have been published. 1. Check your past posts to look for the post that you're missing. If you're able to find it, click on the post's menu and then click "View Published Post". That will bring you directly to where the post was published so that you can view it directly on your social media profile. 2. 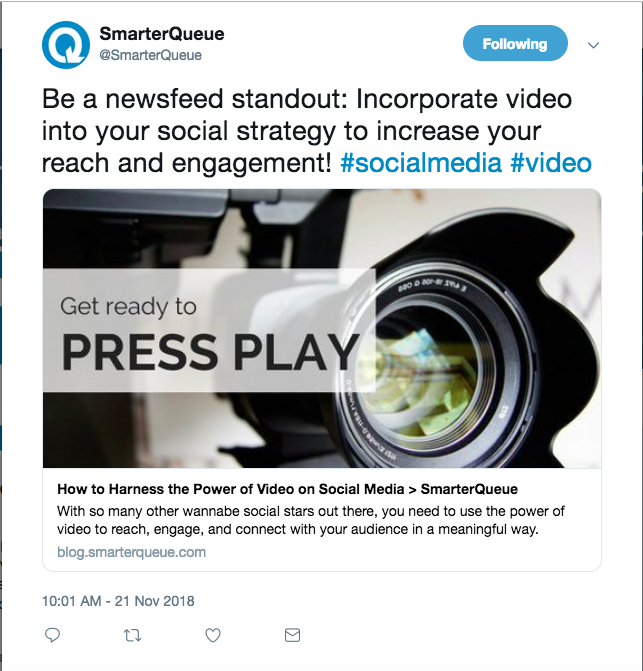 If it wasn't posted to your social media, click the bell icon at the top right of your SmarterQueue account for notifications. 3. This will bring you to the Notifications page where a list of any updates will appear. If you see a posting warning on this screen, click the link to learn more about how you can resolve it. 4. There may also be an error related to a failed post directly in your Queue. Click on "Failed" in the top navigation bar to view any Failed posts. 5. When you hover over the '!' icon, more information about why the post failed will appear. 6. You can also use the filters in your Queue page to ensure that a given Profile and Category combination has content. If there is no content, nothing will be published. If there are no posts, click on the Info pane to look for warnings (bar running along the right hand side of SmarterQueue). You may find that there are Unqueued posts listed there. 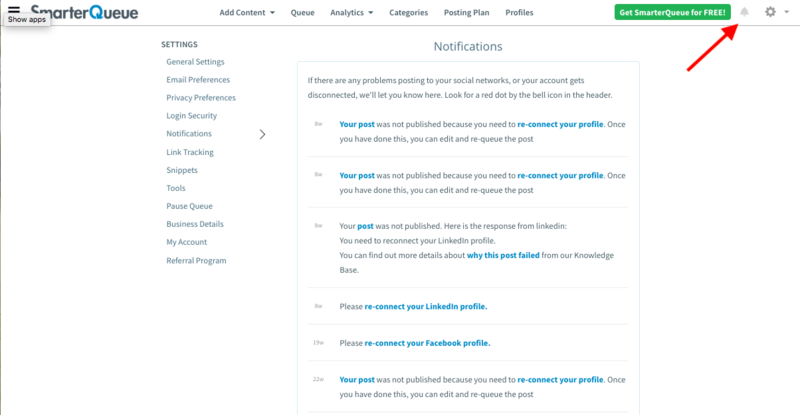 An Unqueued post happens when you have added content, but no Timeslots, so SmarterQueue cannot publish your content 😢 You may also find that you have Hidden posts, which happen when you disable a Category and Profile. 7. Finally, check the Queue to make sure it is not Paused. There will be a Paused label present if this is the case.